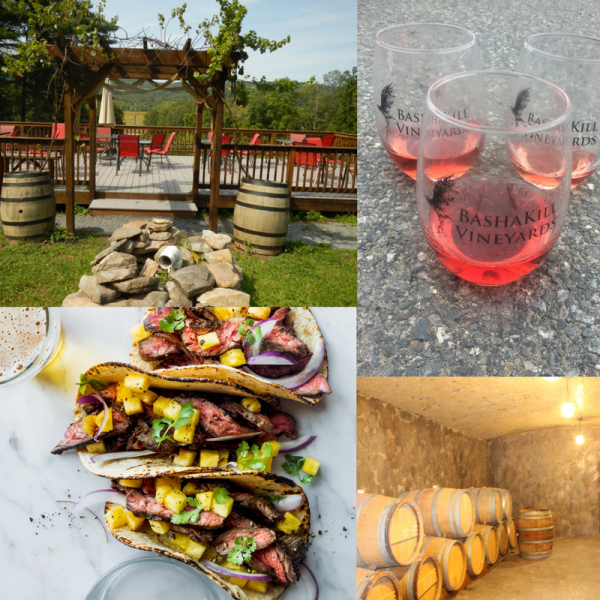 In 2005, Bashakill Vineyards became Sullivan County’s first farm winery. Since then, we’ve remained committed to growing all of our estate grapes organically, using sheep as nature’s lawnmowers and composting all of our grape pressings to fertilize the soil. We offer wine tastings and live music every Saturday and Sunday along with a Mexican Taqueria menu featuring local, organic ingredients in addition to craft cheese plates and cured meat platters. We meticulously craft each wine on site ranging from Organic Sparkling Wine to Rosé, buttery Chardonnay, fruity Semi-Sweet whites to bold Merlot and the rich Cabernet Franc reds. We offer many local craft beers and our own wines on tap along with refillable growlers. Not into wine or beer? We also make cocktails from locally distilled spirits, fresh fruits and herbs, and craft mixers! Come by, pull up a chair, grab a drink, and come relax in the natural setting of the Bashakill Vineyards, located along the pristine Bashakill Wetlands!